Bitter cold in germany. Thick ice on my windscreen shows: season is over for motorbike drivers. But i still would like to have a few exiting kilometers. Thank´s to internet my happiness is just a click away. 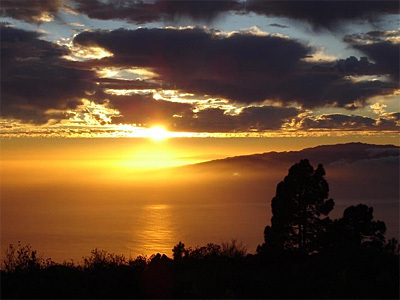 Let´s see: Tenerife, i have liked to go there before. 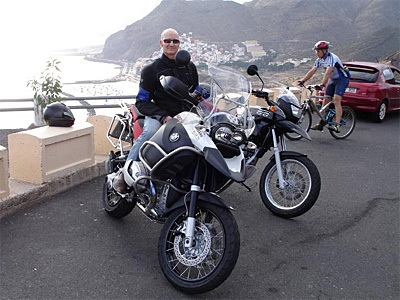 Is it possible to get real motorbikes on the island? Or is it the same rubbish like always on holidays? 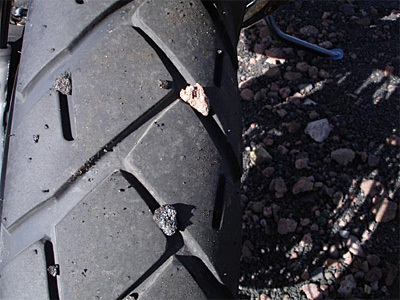 My vacation is to worthwhile for bad motorbikes. Hey. „Canarymoto“ – sounds good. I never have heard something about that company, but looks nice. Brand new motorbike by BMW and Kawasaki. Professionell appearance, fair conditions. Seen and direct online booked. Quickly booked a flight and hotel too. 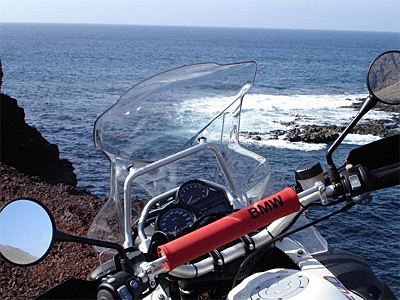 Next day the office cantacts me: „Your R 1200 GS Adventure is ready for you and waiting for take over in Costa Adeje“. YEAH! 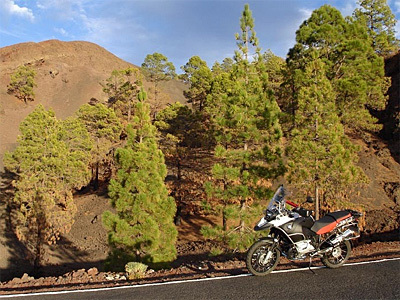 A few days later I sit with Frank from Canarymoto in a street cafe at the southern coast of Tenerife, having 23 Grad Celsius. I still can´t believe - everything is going perfect. I just took over the BMW Adventure. 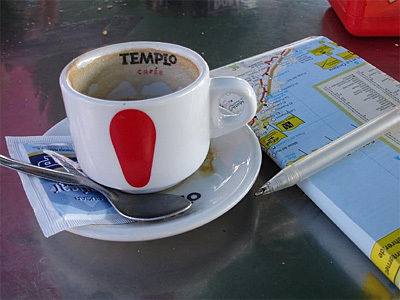 While Frank, with a cup of Cortado Natural, is giving the first tips for tours to me, the 1200 BMW get all the glances beside the street - and I can´t wait to explore the island. And because it is just sunday, and Frank for himself would have liked to take a turn, he gives company to me. On the picturesque curved TF-28 we go up to the north, unbelievable seaview included. Then down to the coast to Puerto de Güimar into Cafe Hibisque. The „cheese red/green“ is a sensational change to chips red/white - you should try as well as the dead-end street into the north-east of the island, which is leading from the beach "Las Teresitas" to Iguest de San Andrés. 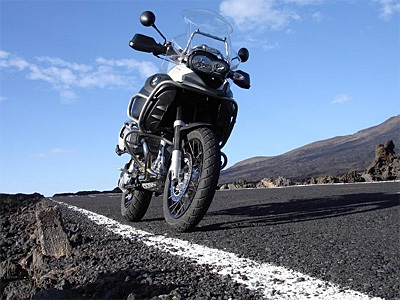 The BMW GS gives so much pleasure to you on this winding TF-12, playfully to conduct through all the curves. 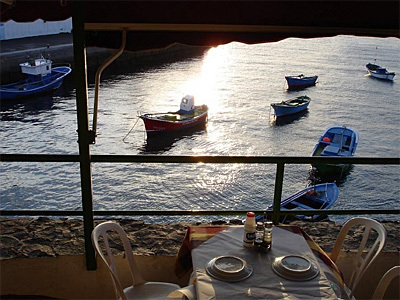 In a sensational fish restaurant this day ends. 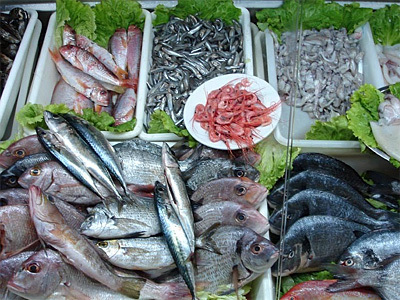 Not possible to get fresher fish anywhere. Now I am used to this bike, which lies perfect in my hand. 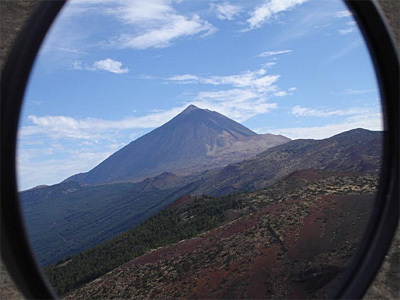 Today I want to go up to "Pico del Teide" – with its 3.718 meters it is the highest mountain of Spain. It´s tip is many often behind clouds and from the north you may see snow at this time of year. But I am lucky, suddenly I see the silhouette of this giant direct in front of me. 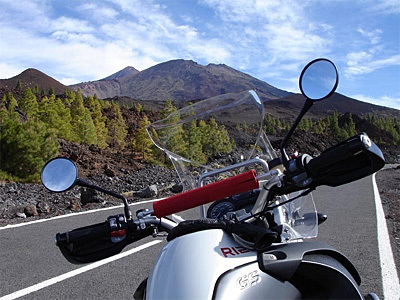 The gray and black lava rock gives a perfect contrast to the deep blue sky - you have to see with your own eyes. 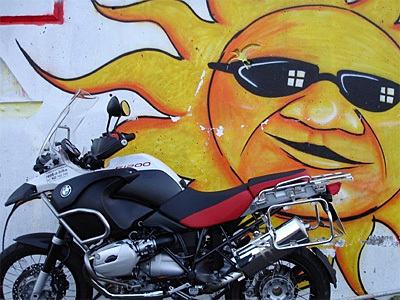 The day flies by and the sun go down - and even with sunglasses its hard to see. Ooh yes, take Franks´ warning for serious: „If there is a warning signal for rockfall, this means there is rockfall“. Yes you can believe, and with the low standing sun you don´t see this rocks on track easily. 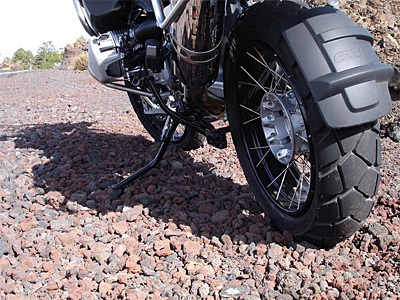 On the next day I want to see the north-coast of the island - these tracks don´t stand behind those in the Alps. 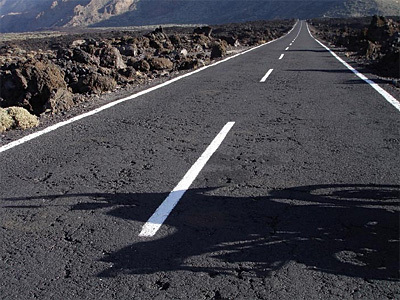 Here you can find everything, perfect curve-swing on perfect asphalt like on the TF-82 before El Tanque, or rough roads with serpentines close to Buenavista del Norte, which will take all concentration from the driver. As a bonus its always possible to have a cooling in the sea - with 23 Grad Celsius nice to have. On the way back to my hotel in the south, close to Playa Paraiso, there is golden surreal sunset - WOW. First I thought to see all the attractions on the island in a few days. 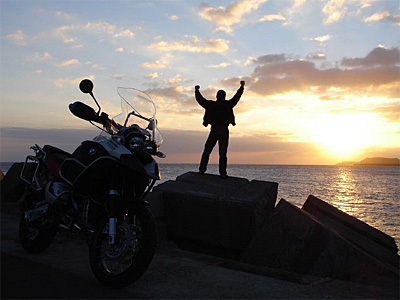 Meanwhile the GS Adventure and I have done more than one thousend kilometers - and I still want more! Think now, you could drive here for eternal and still you would find new places. A friend of mine from home has given some tour tips to me before. Great fun, so I found outlands, which I might have seen only with a tour guide. I love to see the Navi-data from next „Explorer“. Man!, what wonderful days this have been. 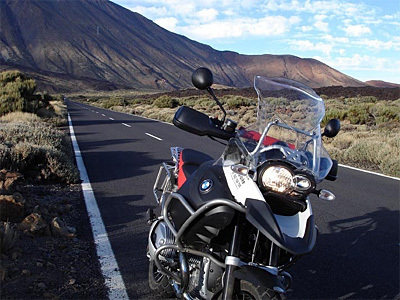 Many thanks to Canarymoto for this great offer and this superb organisation. It couldn´t have been better!